Popular bitcoin exchange Poloniex got to sphere of attention of the Ministry of justice of the state of Delaware, when this was a rather unusual way: head of the special investigator unit for the protection of investors Craig Weldon sent several users emails, asking, not do they experience any problems with your accounts. This writes CoinTelegraph. 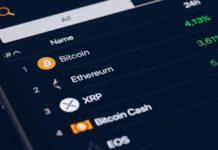 The publication notes that this request has some merit: in recent months the Poloniex accounts in social networks and support exchanges have been inundated with reports of users complaining about blocked accounts. In February 2018 Poloniex was acquired for $400 million company Circle, the co-founder Sean Neville and Jeremy Allair once said that want to turn it into something more than just a cryptocurrency platform. 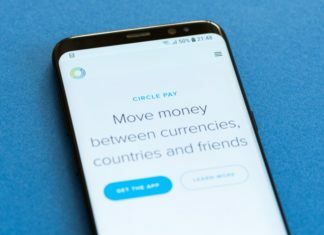 “Our vision is to create a reliable and multi-functional distributed marketplace that will host tokens representing various values of physical goods, fundraising and securities, real estate, art, music, literature, rental services and rental services, loans, futures,etc.”, — said the representatives of the Circle. Also they promised in the first place to pay attention to customers and focus efforts on scaling risks, compliance and improve technical operations. It is noteworthy that in December of 2017 exchange Poloniex announced the tightening of procedures in KYC/AML, urging owners of legacy accounts to get verified. Although the exchange and noted that it must be done during the first quarter of 2018, there is no deadline for the completion of this process indicated it was not, and no official statements on this issue was done. However, in may, some users began to get letters asking to verify their accounts within 14 days. After this period, the number of accounts were frozen, however, as stated by some users, this action was taken in relation to those who responded to the request to verify, confirmed his identity and got the notification that they can continue to carry out trades. The exchange also warns that it cannot guarantee the confidentiality of information as FinCEN may request information about accounts associated with the activity, or may be forced to provide information to government agencies. Soon after the exchange started to introduce first measures on compliance with KYC/ AML. So, starting in may for a withdrawal the user must specify the name and country, if we are talking about more than $2000 per 24 hour period, you must also specify the home address and phone number, and if the user wants to withdraw more than $7,000 a day, will also have to pass the complete verification of the individual. Meanwhile, informal channels Poloniex on Reddit filled with reports where users complain about freezing accounts even after submitting the necessary documents. Many users of these accounts also state that support for weeks ignores their complaints. Moreover, a few days ago, a user bethonpl “celebrated” one year with the moment sent in support ticket, the answer to which is still not received. Similar complaints often can be found in comments in the official Twitter-account of the exchange. On 9 July, likely after consultation with the lawyer, the user PoloniexSuit launched on Change.org a petition to sign urging other affected customers of the exchange. However, at the moment signed left 13 people. 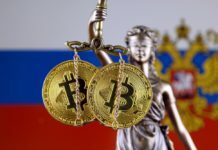 Cointelegraph meanwhile, refers to a copy of the letter of the investigator of the division for the protection of investors Craig Weldon, which was in his possession on July 25. In it the representative of the Ministry of justice asking to contact him if Poloniex users are experiencing problems with the accounts. Also, the publication sent a request to the Ministry of justice of Delaware, which confirmed that the Agency, conducting “its own investigation” really appealed to based in this state to investors. 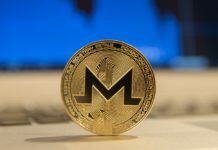 The Ministry also reported that he received treatment from “a number of cryptocurrency investors”, but the name of the platform that appeared in these appeals, the Agency refused to disclose, citing “an ongoing investigation”. “We can’t comment on the status of ongoing investigations, but I can confirm that it has received complaints from a number of cryptocurrency investors regarding frozen accounts and poor communication with stock exchanges, with the result that they could not make timely withdrawal,” — said in the Ministry. We will remind, earlier ForkLog wrote about the other cases of blocking accounts on Poloniex.